Professor Volkan Demirhan Yumuk graduated from Hacettepe University Medical School in Ankara and served as a general practitioner in a central Anatolian village for two years. He completed his internal medicine residency in a state teaching hospital in Istanbul in 1992, and started to work in the Division of Diabetes and Metabolism at Istanbul University Cerrahpasa Medical Faculty. In 1994 he went through a six month research fellowship program in the Division of Endocrinology and Metabolism at University of Michigan School of Medicine, studying pancreatic islet isolation techniques in rats. In 1997 he completed the clinical endocrinology fellowship program in the Division of Endocrinology and Metabolism at University of Alabama School of Medicine. He became an associate professor in 1998 and a full professor of medicine in 2006. He is currently a faculty member in the Division of Endocrinology, Metabolism and Diabetes, Istanbul University Cerrahpasa Medical Faculty. Volkan Yumuk’s research area is obesity and his major clinical interest is prevention and management of obesity and type 2 diabetes. He has published many papers in national and international journals, and authored chapters in books in the field of endocrinology. He is a founding member and current president of the Turkish Association for the Study of Obesity; he is a member of the executive committee for the European Association for the Study of Obesity (EASO) and is currently chairing the Obesity Management Task Force of EASO. 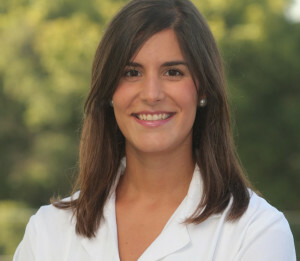 He has chaired the 18th European Congress on Obesity in Istanbul in 2011. He became a fellow of American College of Physicians in 2001 and a fellow of American College of Endocrinology in 2006. 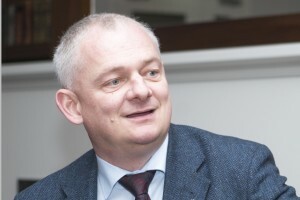 He is been elected as a SCOPE (Specialist Certification of Obesity Professional Education) European Fellow in 2007. He is a reviewer for Obesity, International Journal of Obesity, Obesity Reviews, Obesity Facts, Maturitas, Hormones and Turkish Archives of Cardiology. Dr. Yumuk, please tell us a bit about yourself; where are you from, where did you grow up? Where do you live now? I was born and raised in Istanbul. I now live in the same glamorous city and my residence is here in Asia Minor; my work place is in Europe proper. Our readers would enjoy learning about your favourite activities, hobbies, and interests outside of your professional work. Photography has been one of my favorite activities since graduation from medical school. Many of the pictures taken during my compulsory medical service in a central Anatolian village are among my dearest treasures. Philately, the study of stamps, postal history and related items, is another area in which I was very active in the past; I intend to re-engage with it soon. In my opinion metabolic medicine forms the basis of life. As a clinical endocrinologist I see metabolic medicine as the ideal way to interact with almost all of the functional systems of the body. As obesity is a gateway to other diseases, increasing rates of morbidity and mortality among the general population has attracted my interest in this area for many years. Istanbul University Cerrahpaşa Medical Faculty Obesity Clinic was a unique facility in Turkey treating obese patients in the early 80’s, even though at the time obesity was a neglected field in most of the world. This very clinic is today very proud to be an obesity center within the COM network. In addition to being a member of the EASO Executive Council, you have chaired the EASO Obesity Management Task Force (OMTF). Can you tell us about some recent policies and achievements of OMTF under your watch? This is now my fifth year as chairman of the OMTF. OMTF is one of the most prestigious task forces within EASO where one finds the top obesity experts in Europe. All together as a task force and/or within small working groups, several sets of guidelines and position statements have been developed, produced and published in the journal Obesity Facts/ Obesity Surgery. Multidisciplinary management of obesity and its realated disorders have been emphasized in most of our manuscripts. Joint papers with the European Society of Hypertension have appeared in European Journal of Hypertension. Medico-surgical joint meetings have developed an important movement toward collaboration with bariatric surgeons, which has taken place under my watch as chair. Working together with the other EASO task forces has led to development of joint meetings and manuscripts. OMTF has been a devoted supporter of and has successfully developed and implemented new obesity teaching resources. Eleven OMTF teaching courses have been programmed so far, five during recent European Obesity Congresses (ECOs). Collaborating Centers for Obesity Management networks flourished during my watch and now we are 66 centers all across Europe. This network aims to standardize obesity care, promoting teaching and research. What are your present interests in the field? A joint study run by internal medicine and psychiatry is presently dealing with obesity as the link between night-time eating and metabolic syndrome. Another study is still running and is testing results of a novel metabolic surgery technique in type 2 diabetes mellitus. Preliminary results of this study will appear in Obesity Surgery soon. In addition to the research interests mentioned above, as the president of the Turkish Obesity Association and the chair of OMTF and an EC member, I would like to be involved in supporting development of influential policies and discussing and sharing them with relavent NGOs and governmental organizations at the national and European levels. Elevating the voice of NGOs on firm grounds is necessary for accomplishing important goals. Announcement: Post-doctoral position in adipose tissue metabolism at the Obesity Research Laboratory (Prof. Dominique Langin), Institute of Metabolic and Cardiovascular Diseases (Inserm & Paul Sabatier University), Toulouse, France. 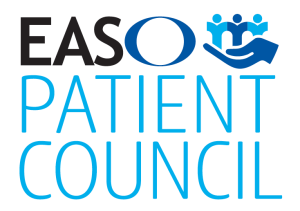 We are delighted to announce that in 2016 the congresses of EASO (ECO2016) and the IFSO European Chapter (2016 IFSO-EC Annual Congress) will merge to create the inaugural European Obesity Summit (EOS2016). This exciting congress will take place in Gothenburg, Sweden from 1 to 4 June 2016. Help us create a conference that you want to attend. We’re welcoming suggestions for symposia so please use the online submission form to propose your session by Friday 27 November 2015. The main scientific programme is regularly updated on the congress website. After graduating as an M.D. from the University of Graz in 1984, Dr. Hermann Toplak went into military training in aeromedicine before becoming a resident in Laboratory Medicine at the Metabolism Unit of the Department of Paediatrics at the University of Graz. EASO held an ‘Obesity Media Masterclass’ as part of the EASD media programme. The session featured Patient Council presentations from Orley Andreasson (Sweden) and Ken Clare (UK), and KOL presentations from Nathalie Farpour-Lambert (Switzerland) and Mikael Ryden (Sweden). View the presentations on the EASO website. Childhood Obesity Is a Chronic Disease Demanding Specific Health Care – a Position Statement from the Childhood Obesity Task Force (COTF) of the European Association for the Study of Obesity (EASO). Read the paper on the EASO website. Meet Vicki Mooney, the EASO Patient Council representative from Ireland. Vicki, please tell us a bit about yourself. I’m a 38 year old divorced mother of 3 beautiful children. 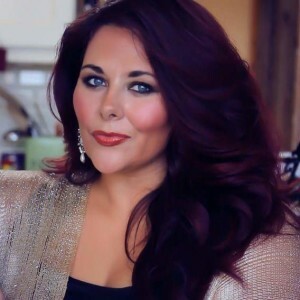 I am very proud to own and run Ireland’s only Plus-Size Modelling Agency, promoting body confidence and a healthier lifestyle and body image to all women…..
As part of the EASO Patient Council Top Tips Series, members have developed these recommendations for clinicians to use when interacting with their patients. Focus on communicating with and motivating your patient. Communication and motivation are key to any productive relationship between doctor and patient, and is particularly important with obese patients. The EASO Healthy Hydration Working Group is pleased to make available two infographics, explaining the importance of drinking water as a healthy choice, and providing tips to help improve consumption. These infographics have been prepared for the General Public and for Healthcare Practitioners (HCPs). Translated versions are available via selected EASO Member Associations. Meet the 2015 EASO ‘NIU Best Thesis’ prize winner! I was born in 1986 in Logroño, a small city located in the North of Spain. Maybe you have heard of Logroño; it is famous for lovely Rioja wine. When I was 18 I moved to Pamplona to begin University studies in Pharmacy, Nutrition and Dietetics at the University of Navarra. obesity, adipocyte and myoblast biology, cell cultures, imaging, and omics technologies. Prior experience in bioinformatics and statistical handling of large data sets is considered a surplus. Good knowledge of written and spoken English is required. of both task specific (demand level 5) and personal performance components. their application via the SAP HR portal. Further information is available from Kirsi Pietiläinen Principal Investigator, tel. +358505992295 or [email protected]. 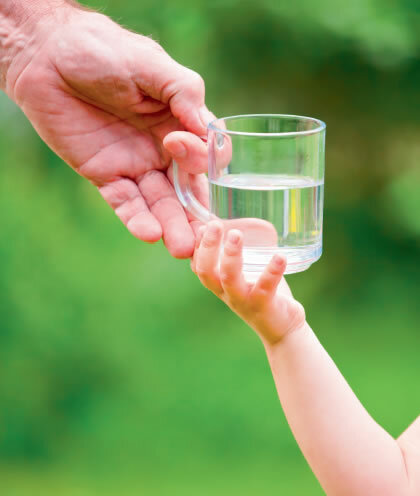 The EASO Healthy Hydration Working Group is pleased to make available two infographics, explaining the importance of drinking water as a healthy choice, and providing tips to help improve consumption. These infographics have been prepared for the General Public (EASO hydration tips_GP_HD_final) and for Healthcare Practitioners (HCPs) (EASO_hydration tips_HCPs_HD_final) and translated versions will be available via selected EASO Member Associations soon. Obesity Facts 2015 Issue 3 is now available. All content is open access and can be accessed by visiting the issue webpage. Obesity is taking stage as one of the most pervasive, chronic diseases in need of new strategies for medical treatment and prevention. ObesityWeek answers the call by bringing together the great minds of unique, seasoned obesity professionals to unveil new research and leading medical techniques. 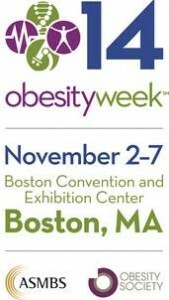 Mark your calendars for Nov. 2-7, 2014, and plan your trip to Boston, MA for ObesityWeek℠, the world’s largest conference on obesity research and treatment. ObesityWeek℠ combines the scientific and clinical resources of the American Society of Metabolic and Bariatric Surgery and The Obesity Society for the premier annual scientific and educational conference dedicated to obesity. Don’t miss this opportunity to learn, network and connect with an expected 5000 obesity professionals, including physicians, surgeons, scientists and clinicians. The meeting combines a variety of formats, ranging from poster presentations to live debates. With nearly 1500 research abstracts unveiled, and more than 100 educational sessions, attendees will have unique access to the latest information needed to stand out in the field. The content and delivery has been developed by a committee of field experts with the needs of you, the attendee, in mind. The meeting is designated for AMA PRA Category 1 Credit(s)™ and will be valid for the ABOM exam in December 2014. Find out more about ObesityWeek℠ 2014 here.